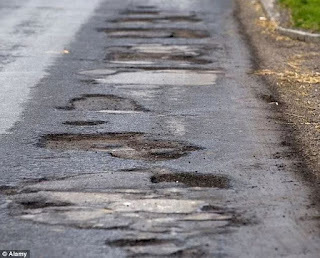 Aminu Tambuwal, Sokoto State Governor, has appealed to the Federal Government to hand over federal roads in the country to state governments for effective management. He made the appeal when he received the Senate Committee on Works led by its Chairman, Kabiru Gaya, at the Government House in Sokoto late Monday night. “There is the need for the federal government to hand over the roads to states because state governments are closer to the people and we have more efficient methods of supervision. If this is done, it will go a long way in ensuring that the vast majority of major roads and highways in the country are well maintained,” he said. Mr. Tambuwal said Sokoto state government will continue to work with all those involved to ensure that the infrastructural development of Nigeria is given utmost attention. In his remarks, Mr. Gaya said they were in the state for the conduct of their oversight functions. He lauded Mr. Tambuwal’s efforts especially in the area of infrastructure development. Mr. Gaya also assured that his committee would facilitate the reimbursement of the funds used by the state government in construction federal roads. He thanked the governor for his commitment to see to the completion of the Sokoto-Jega-Yauri -Kontagora road which is currently under construction.